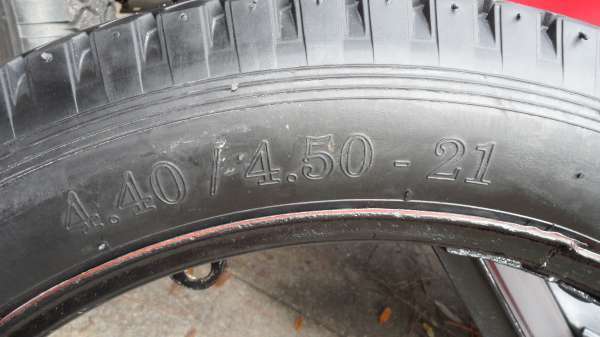 Model T Ford Forum: 21" tires made where? Model T Ford Forum: Forum 2013: 21" tires made where? 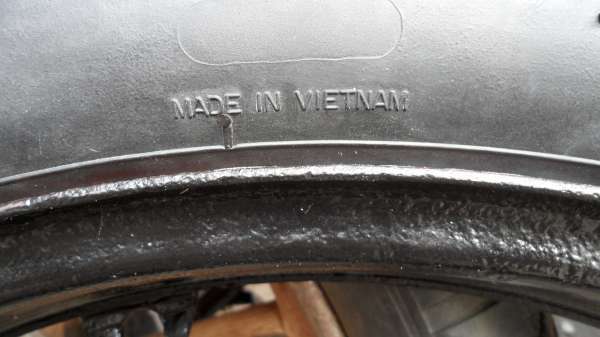 I think I remember a comment posted on the forum that all 30" tires were made in Vietnam, but all 21" tires were made in the USA. Well if I'm remembering right - taint so any more! Firestone are made in the USA, in PA.
Looks like the molds were shipped to Vietnam and "Made In USA" became "Made in Vietnam". In the past USA bias ply tires were made of synthetic rubber which weathers much better than natural rubber. I wonder id this is a "sign of progress" for all the 21 inch tires. The Firestone's on the Wifes Model A are USA made.Bud. Seems like it was Remington, PA or a similar name that has the tire plant for the 21 inch tires. It has been there for at least 10 years now. I'm not sure if the plant was just set up for those tires or if if was a revitalized older tire plant or if it makes other tires. I read somewhere; maybe in Snyder's catalog, that the new Goodyear 21" are US made. The Lucas "budget" tires are imported - I understand the remainder of the 21" to be of U.S. manufacture. I recently got a set of the Lucas 21" and they have some preservative or coating on them that turns brown. I've tried washing and even Goop hand cleaner but can't get the stuff off. Any one have any ideas? I got it off using the high pressure soap at the local do it yourself car wash. I am back a few generations as my 21 inch Firestones are made in New Zealand. I also hear these are now made in America.